The much anticipated shooting puck has arrived! 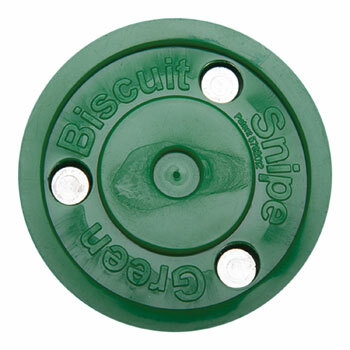 The Green Biscuit™ ‘Snipe’ slides effortlessly over concrete and asphalt so let those wrist shots, snappers and slapshots go and get ready to Snipe! Like the ‘Original’ the ‘Snipe’ slides effortlessly on virtually any rough surface so you can play on driveways, parking lots, streets, basements, tennis courts, etc.